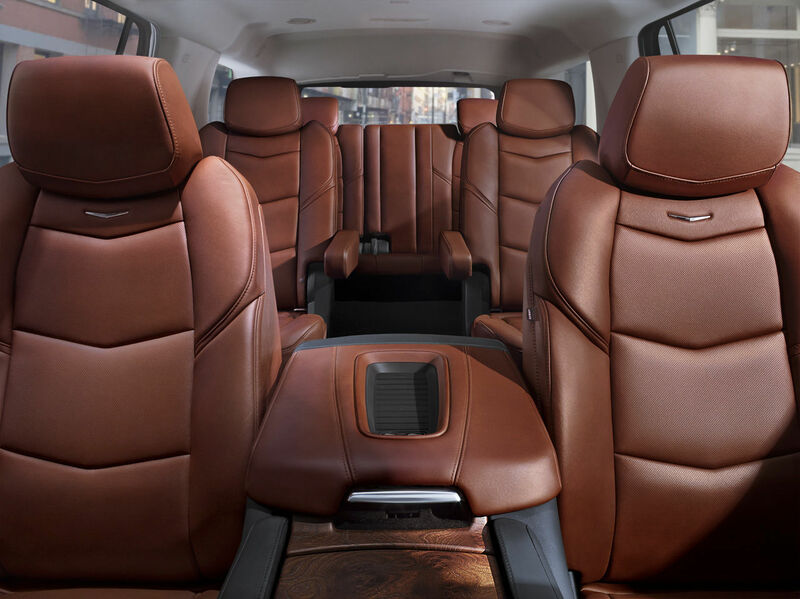 The 2019 Escalade was crafted with care and precision, you can choose from trims and leather appointments that meet with flawless seams and peerless stitching. 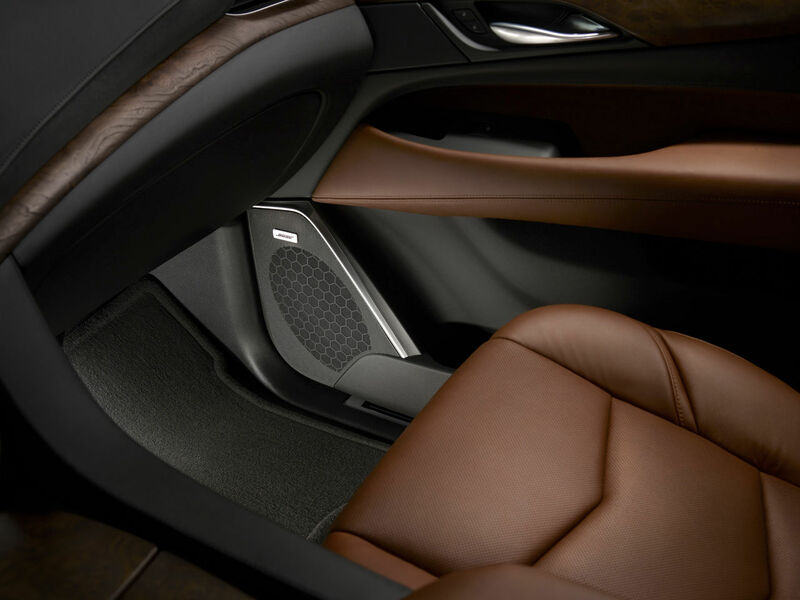 These materials have been painstakingly curated to work together beautifully — so, whether you grip the hand-finished Turin leather steering wheel or sit in the available Kona Brown seats, you’re surrounded with elegance. A variety of features transform the cabin into that rare place where tranquility, comfort and entertainment go hand in hand. 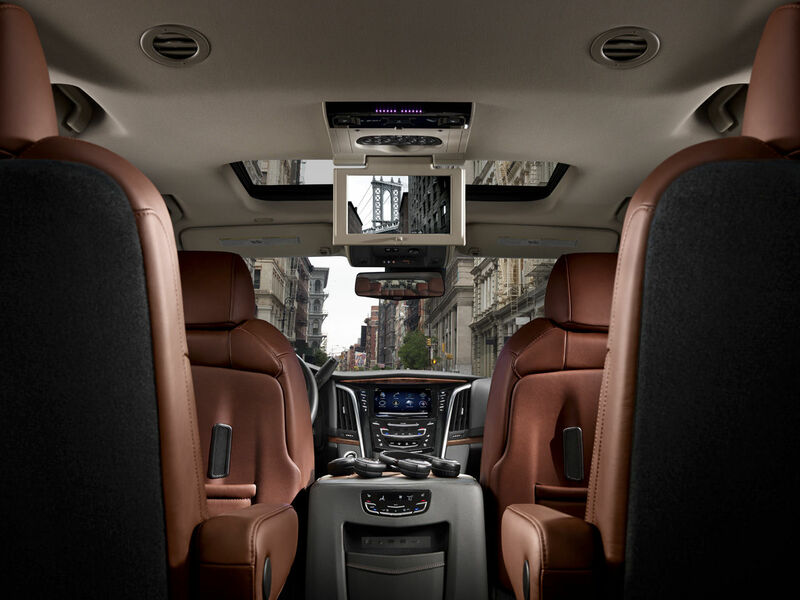 Acoustic front glass, triple-sealed inset doors and Bose® Active Noise Cancellation work to create the Escalade’s extraordinarily quiet interior, while a captivating 16-speaker Bose Centerpoint® Surround Sound system is a pleasure to hear. Equally entertaining is the available Rear Seat Entertainment (RSE) System. It features a 9" diagonal screen, Blu-rayTM playback, MP3 capability and two wireless headphones, as well as HDMI and USB ports. Tri-Zone Climate Control allows the driver, front passenger and rear passengers to adjust temperatures individually. This emphasis on individual control and comfort extends to power-adjustable pedals, as well as a function-rich, powertilt and telescoping heated steering wheel. 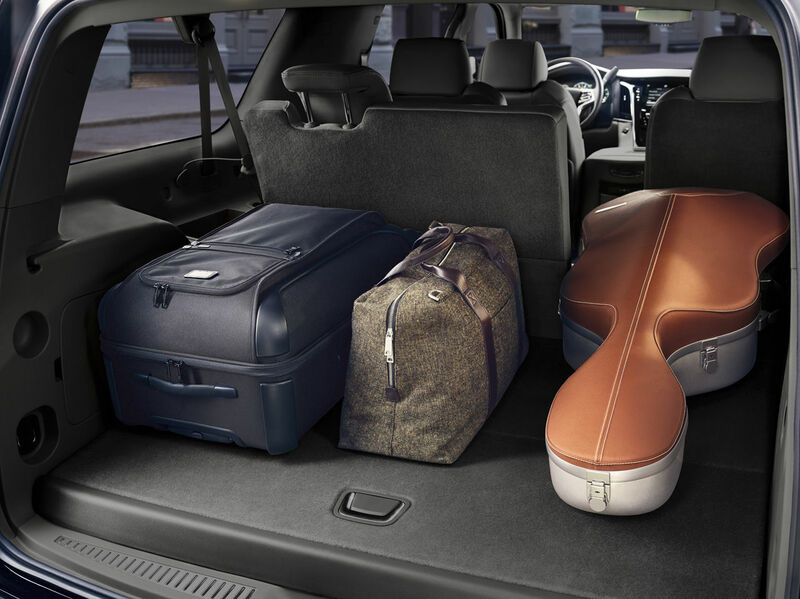 And should individuals require even more space, the Escalade ESV offers additional leg room, seating and larger doors to easily accommodate up to eight passengers. With the touch of a button, power-folding third-row seats quickly disappear to yield up to 120 cu. 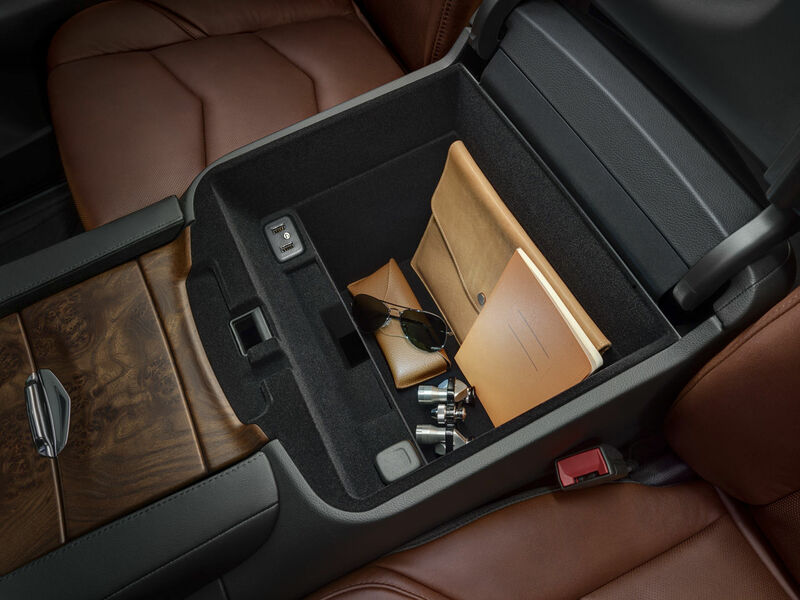 ft.1 of maximum cargo space in the Escalade ESV. 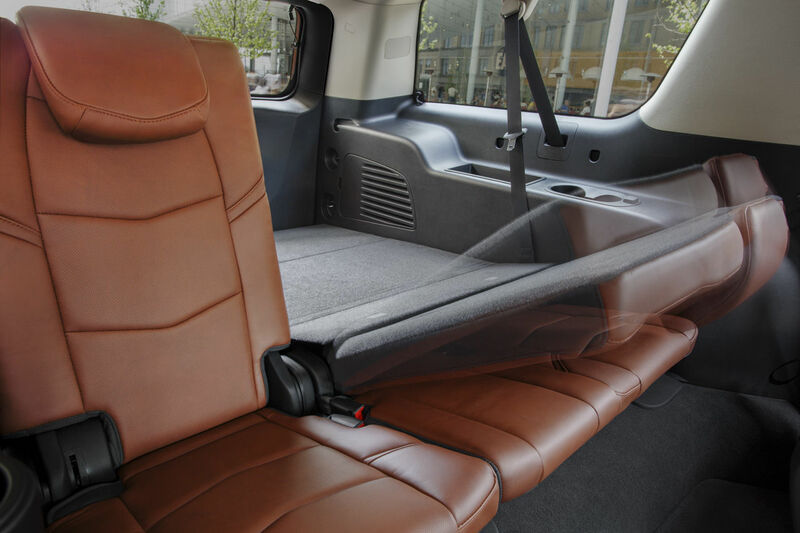 The Escalade Platinum multidirectional massaging front seats also adjust 18 ways. Semi-Aniline leather makes the first- and second-row seating surfaces, as well as the leather-wrapped steering wheel and instrument panel, supple yet resistant to wear. Sueded microfiber headliners and door trim, along with exclusive wood accents, complete the cabin.